Happy Lunar New Year! Spend IDR 788.888 or more to get 10% off on the next purchase, available from January 21st till’ February 10th! 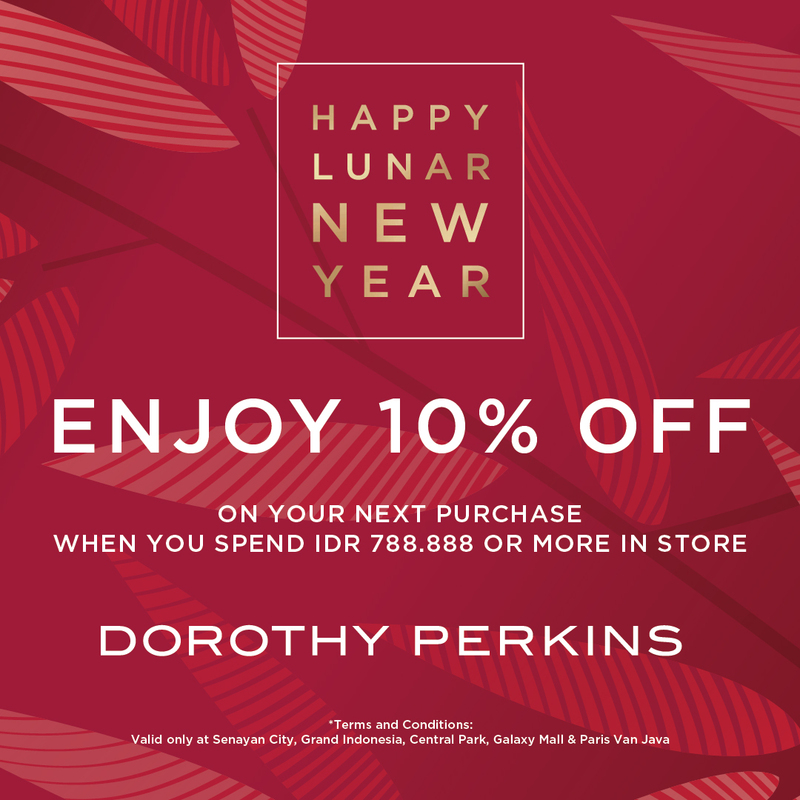 Only at Dorothy Perkins Central Park, GF.